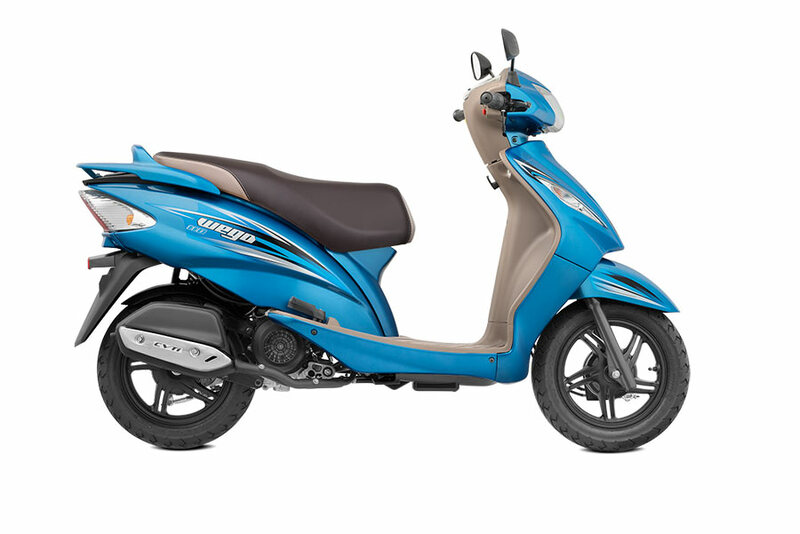 The Wego 110 automatic scooter from TVS Motor Company is available in Deep-Sky Blue color variant. The above photo shows all new 2017 TVS Wego in Deep Sky Blue Color variant. Here is the photo of all new TVS Wego in Volcano Red Color variant. TVS Wego in red color is a quite a distinct color compared to other color variants. The all new TVS Wego is offered in Black color (Midnight Black Color). Check out the above photo for TVS Wego in black color variant. The all new TVS Wego gets Grey Color variant. 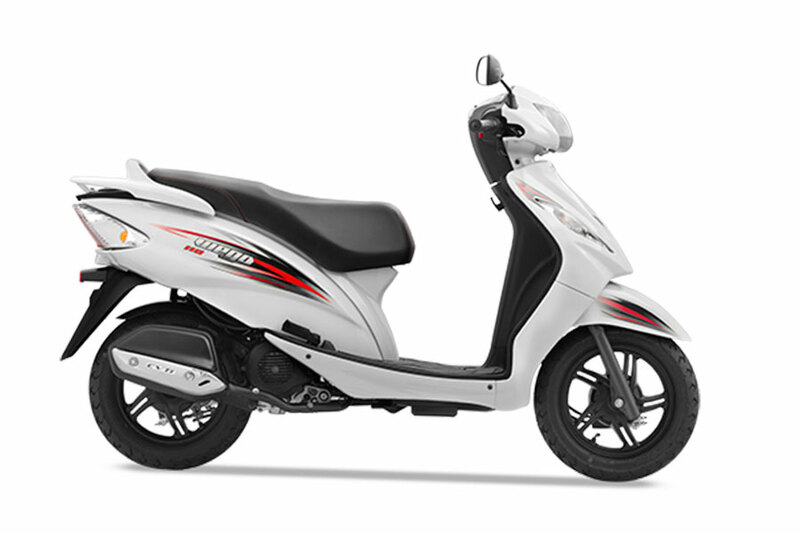 You may check TVS Wego offered in Metallic T-Grey color variant. Here is the all new TVS Wego in Sporty White color variant. Photo of TVS Wego in White color (Sporty White). The all new TVS Wego is offered in metallic orange color variant. 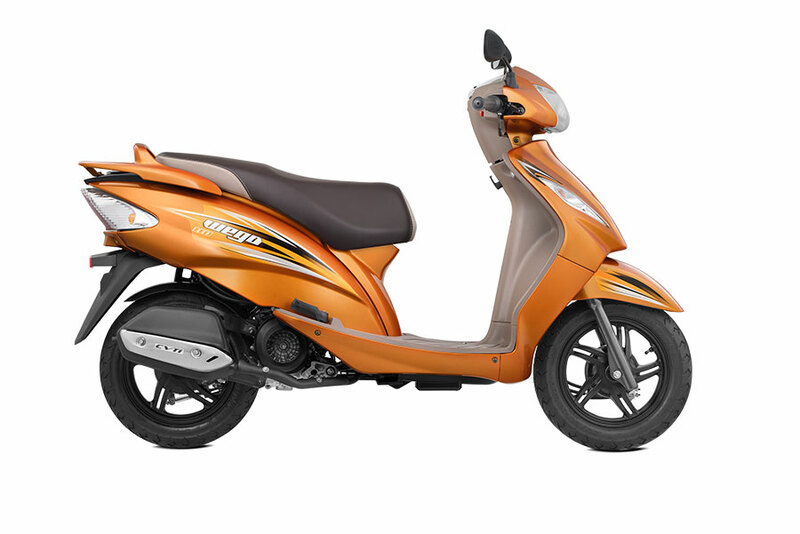 Check out the photo of all new Wego in Orange color (Metallic Orange color). This color (Dual-tone Orange) is one among the dual-tone colors offered by TVS Wego. Check out the above photo of all new TVS Wego in dual tone orange color variant. While the front of the body is painted in orange, the rear is painted in Black. TVS Wego gets the dual-tone blue color variant. 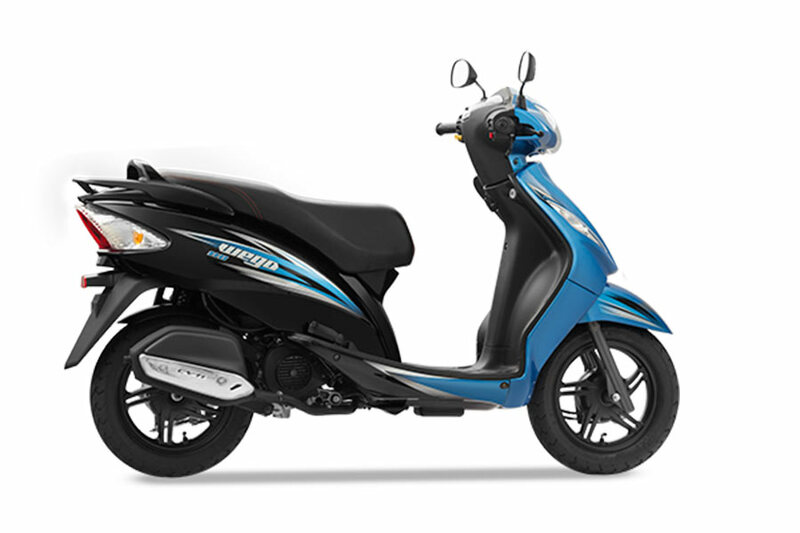 Check out the all new TVS Wego scooter in dual-tone Blue color variant. The front of Wego is painted in Blue and the rear side of the body is painted with Black color. TVS Wego is offered in dual-tone red color variant. 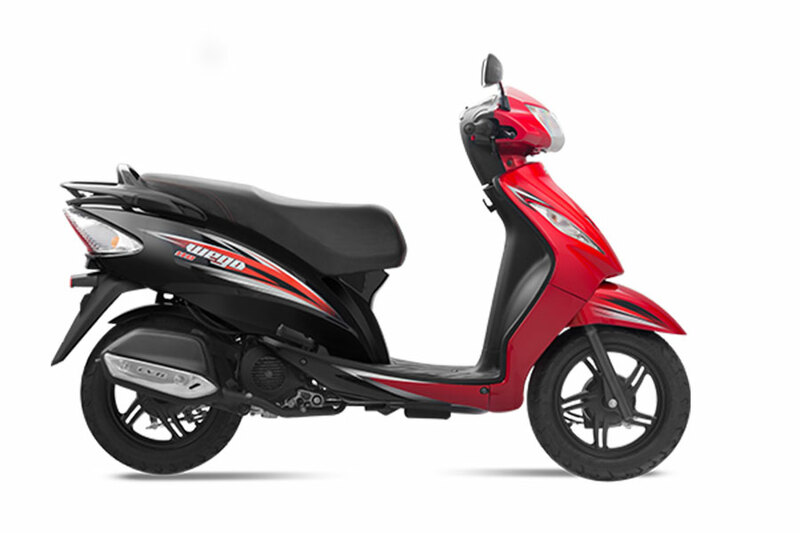 You may check the photo of all new TVS Wego in dual-tone red color variant. The front of TVS Wego is painted in red and the rear is painted Black. TVS Wego is powered by 4-stroke single cylinder, air-cooled 109.7cc engine. The maximum power output delivered by TVS Wego’s 110cc engine is 5.88kW (bhp) at 7500rpm. Wego offers maximum torque of 8.4Nm@ 5500rpm. TVS Wego is a gearless automatic scooter whose transmission is of type CVT. The 2017 variant of Wego gets a BS4 compliant engine and also gets always on headlamp feature (AHO). TVS Wego gets advanced telescopic suspension in the front and has a fuel tank capacity of 5 litres. Which TVS Wego color did you like? Let us know your Wego color choice by commenting in the roads discussion forum.